Go for a ride and take in our culture, sights and majestic wildlife. 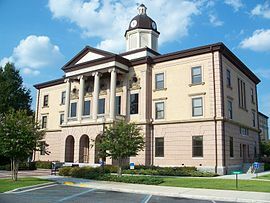 Lake City is the county seat of Columbia County, in Natural North Florida. And there’s no better way to see it than to hop on your trusty “steed” and ride the 17.7-mile Lake City Lakes Loop. 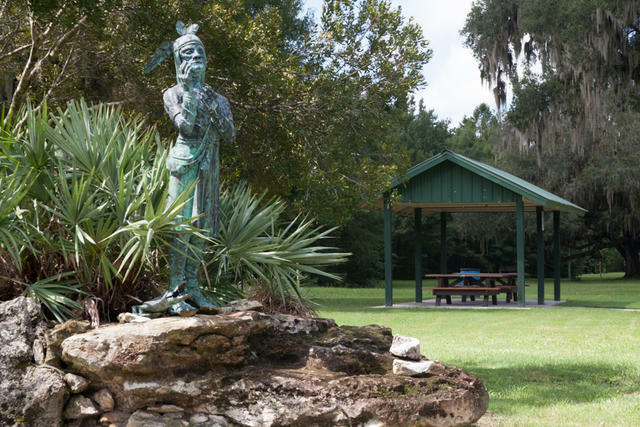 You’ll see the best of Lake City–from the quaint urban downtown to the rural roads and paths at Alligator Lake. 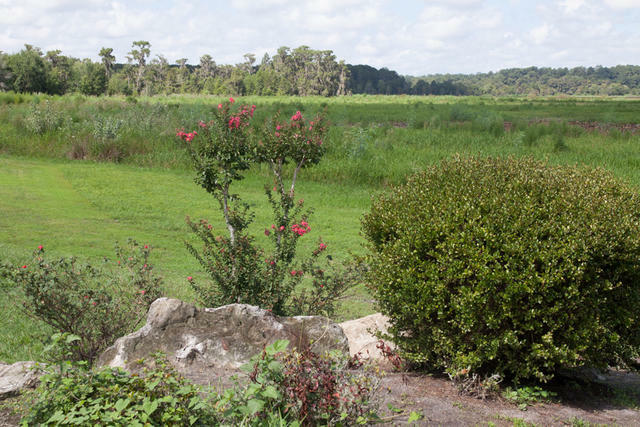 If you’re interested in riding this and other areas of Natural North Florida, you can stay on track with our 31 Ride with GPS integrated routes. 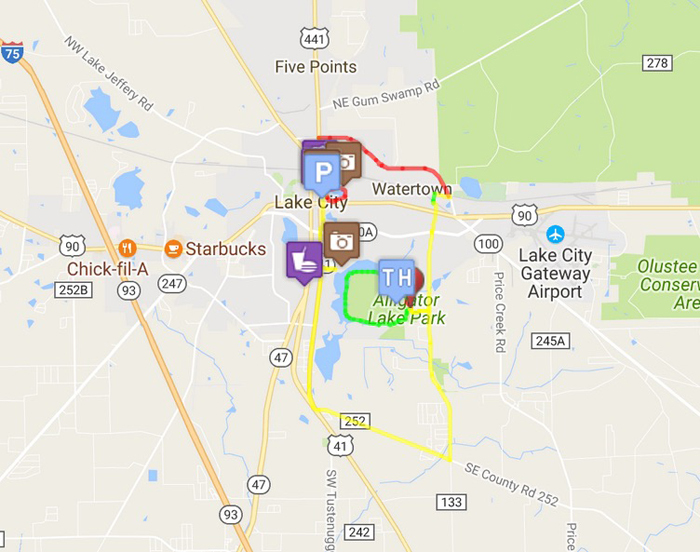 Unlock the power and utility of our routes by joining the Visit Natural North Florida Bicycle Club on Ride with GPS! Print route maps, cue sheets, descriptions, and elevation profiles for your next ride. Download our routes to your cell phone using the RidewithGPS app for turn-by-turn voice instructions! Download the app and our Ultimate Bicycle Guide—just click away! 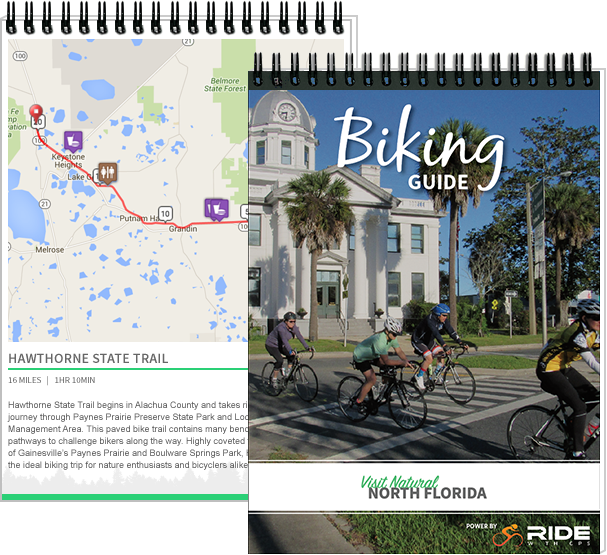 Download the Ultimate Bicycle Guide and experience Natural North Florida the way it’s meant to be experienced.